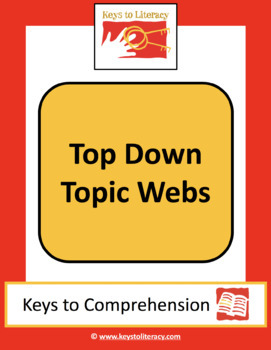 A Top Down Topic Web is a graphic organizer that provides the “big picture” of information in a visual format from what is read, said, or done in the classroom. 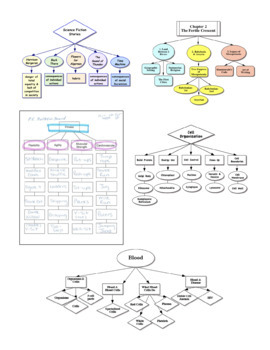 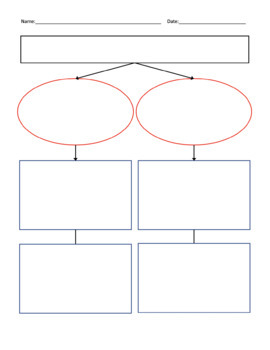 Research supports the use of graphic organizers to represent the relationships between the underlying ideas in text and classroom instruction, and teaching students to organize ideas in a systematic, visual way improves their ability to remember what they read and improve comprehension in content areas such as social studies and science. 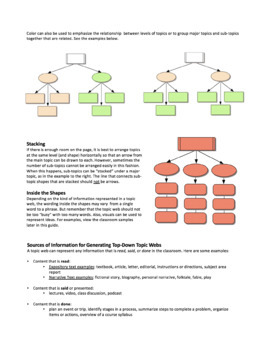 This product includes teaching instructions, a link to video training, samples of classroom topics webs from assorted grades and subjects, and five topic web templates.